Six new Arbitrary Waveform Generators (AWGs) are optimized for signal quality, size and cost. The new “65” series AWGs offer the latest 16-bit Digital-Analog-Converters, a fast PCIe x4 interface with up to 700 MByte/s streaming speed and a card length of only 168 mm to fit into nearly every PC. With 40 or 125 MS/sec speed, onboard memory of 512 MSamples, output levels of up to ±6 V and four additional multi-purpose outputs, these signal generators generate frequencies between 1 and 60 MHz for the areas of ultrasound, laser, LIDAR, radar, automotive, medical science and big physics experiments. Prices start from $3,110. Users can select from two separate output speed rates of 40 or 125 MS/sec and models that have one, two or four channels per card. Each channel features its own DAC and output stage. Multi-channel cards share a common clock and trigger to ensure full synchronization and the output stages incorporate four switchable filter paths to help optimize signal quality. At the same time, they can produce output swings up to ±6 V into a high impedance (1 MΩ) load or ±3 V into 50 Ω. The flexible output stages combine with the high resolution 16-bit DACs to enable the generation of signals with low distortion, exceptional dynamic range and a high signal-to-noise ratio. To allow the M2p.65xx series AWGs to generate long and complex waveforms, each card also comes equipped with a 512 MS onboard memory. The large memory is complemented by a variety of different output modes. For example, the memory can be segmented and waveforms can be created by looping on, and switching between, different segments. The cards also feature a FIFO streaming capability that enables new waveform data to be read over the fast PCIe bus (at rates of up to 700 MB/sec) while replaying already transferred information. 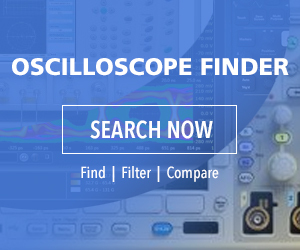 This flexibility allows users to create ultra-long, single shot waveforms or constantly changing, burst-type signals such as those found in radar, ultrasound, LIDAR or sonar systems. The possibilities are almost limitless. For applications that require the connection of AWGs and Digitizers, such as stimulus-response or closed-loop applications, Spectrum’s Star-Hub piggy-back module synchronizes up to 16 different M2p class products. The new M2p.65xx AWGs match the M2p.59xx 16-bit digitizers released in 2018. The M2p.59xx digitizers offer one to eight channels with sampling rates between 20 MS/sec and 125 MS/sec. The Star-Hub distributes a common clock and trigger signal to each channel ensuring fully synchronous operation. Star-Hub systems are also perfect for situations where multiple test points, or arrays of sensors, need to be stimulated by different test signals at the same time. The cards are fully programmable and drivers are provided, free, to support widely used languages (such as C++, VB.NET, C#, J#, Delphi, Java or Python code) as well as third party software tools like LabVIEW and MATLAB. Alternatively, users can simply run Spectrum’s own software, SBench 6 Professional. SBench 6 enables the user to control all the modes and settings of the AWG via a simple, easy-to-use, interface. The software is designed to support multi-channel operation and has a host of built-in features for waveform display, signal generation, data analysis and documentation. Basic signals can be created using the software’s EasyGenerator function that produces waveforms like sine waves, triangles or rectangles with programmable frequency, amplitude and phase. More complex signals can be created using mathematical equations or imported from other programs or devices (such as digitizers or oscilloscopes) using Binary, ASCII, or Wave formats. Once installed in a PC, the AWG cards are easy to integrate with other test and measurement devices. The signal outputs, as well as clock and trigger inputs, are provided via front-panel SMB connectors. The front-panel also hosts four MMCX connectors (one multi-function output, and three multi-function I/O lines), which can be used for different tasks such as digital output channels, clock, trigger or status output as well as asynchronous I/O lines. This high level of connectivity allows the AWG cards to be easily adapted into most automated test system environments. Switching the multi-purpose I/O lines to digital output adds another four synchronous output channels to the AWG. A single AWG card can then generate four analogue outputs and four digital outputs in parallel with full speed. This is especially helpful when interfacing with external equipment in experiment control or for OEM projects. The Spectrum M2p.65xx series AWGs are in full production and available for immediate delivery. All cards are shipped factory tested and include a base version of Spectrum’s SBench 6 software for first tests.